Wize Monkey has provided me with Strawberry Hibiscus for the purposes of providing an honest review. Is it time for another Wize Monkey review? I think it might be! 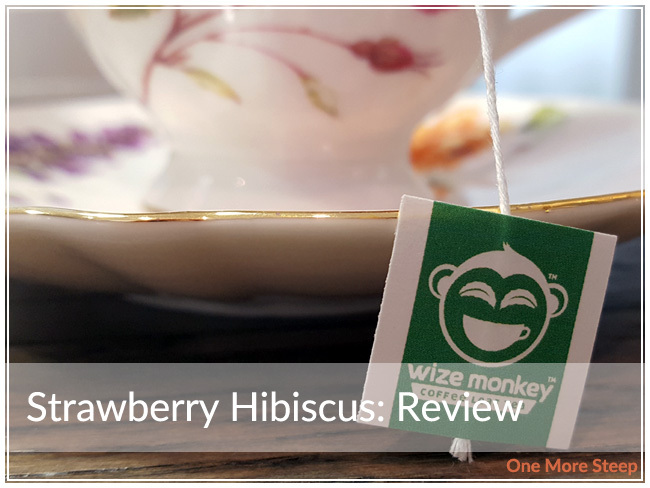 So this review is of Wize Monkey’s Strawberry Hibiscus. It came to me in sachet format, I can’t find this exact product on their product page at this time, but the rest of their sachet products are the same price/weight, so I’m extrapolating that to this flavour as well. Strawberry Hibiscus honestly smells like its namesake. I can smell sweet strawberry and the floral tartness of the hibiscus. If you’ve ever tried a blend with hibiscus before, you know that it can have quite the tart flavour profile to it. 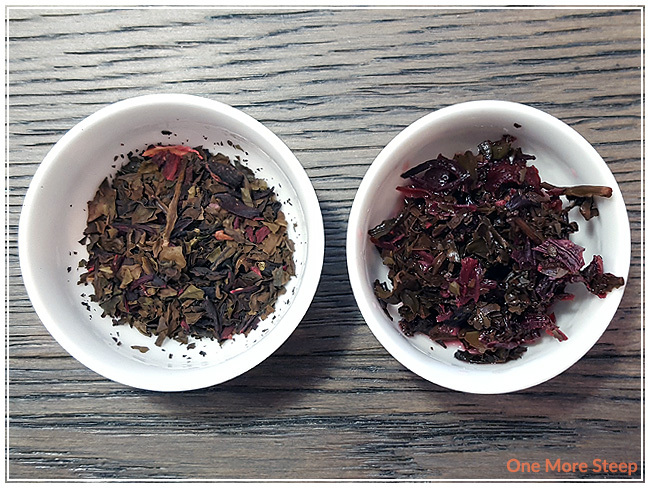 As mentioned in a previous Wize Monkey review, despite being called a coffee leaf tea, it’s still technically a tisane because it doesn’t contain any part of the tea plant. That said, I still think it’s really neat that they’re utilizing part of the coffee plant that isn’t used in coffee production. Strawberry Hibiscus is made up of: arabica leaves, Egyptian hibiscus petals, and natural strawberry flavouring. Wize Monkey recommends steeping Strawberry Hibiscus in 95°C (203°F) water for as long as you’d like. My initial steep of Strawberry Hibiscus as for 5 minutes. Strawberry Hibiscus steeps to this amazing ruby red, it has such a deep colour to it. 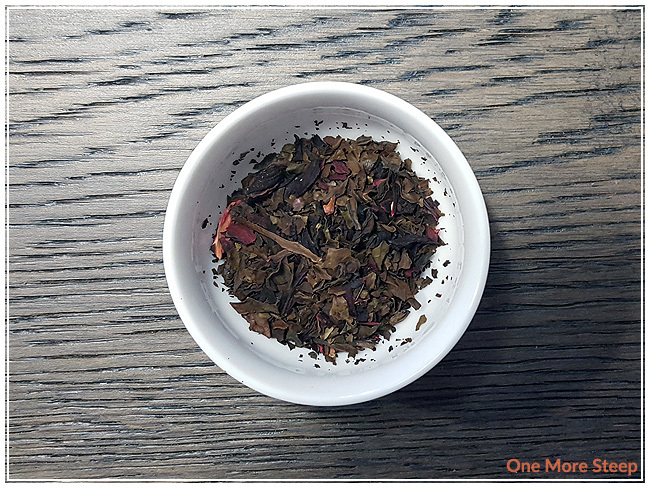 This tisane came to me in sachet format and I noticed that it wicked up the string from the sachet, adding a bit of pink colour to it. Strawberry Hibiscus has a very fruity aroma to it, and it still smells like its name. On first taste, the first thing I notice is the tartness from the hibiscus. It’s so tart that it made my mouth pucker, and I noticed the flavour of the strawberry a little bit later. There’s a touch of sweetness to the strawberry, but it’s overshadowed by the hibiscus in the flavour profile. 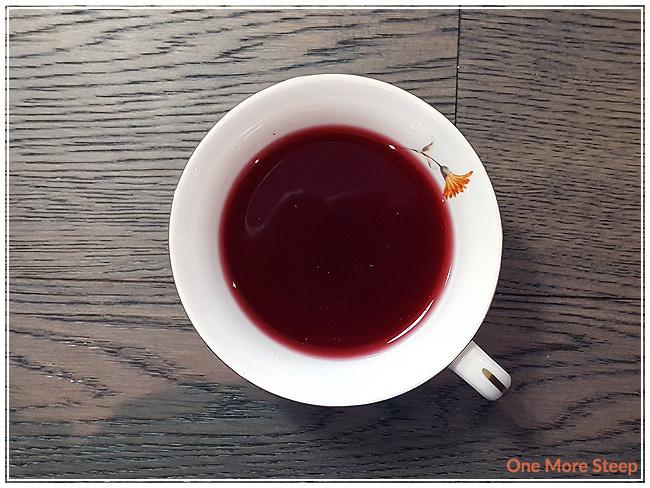 I resteeped Strawberry Hibiscus and found that the colouring was not as deep, nor was the flavour as tart. It did definitely well as a second steep, which always surprises me when it comes to tisanes. I found it did lack some of that sweetness from the strawberry that I was looking for. I would say it’s good for one more steep. 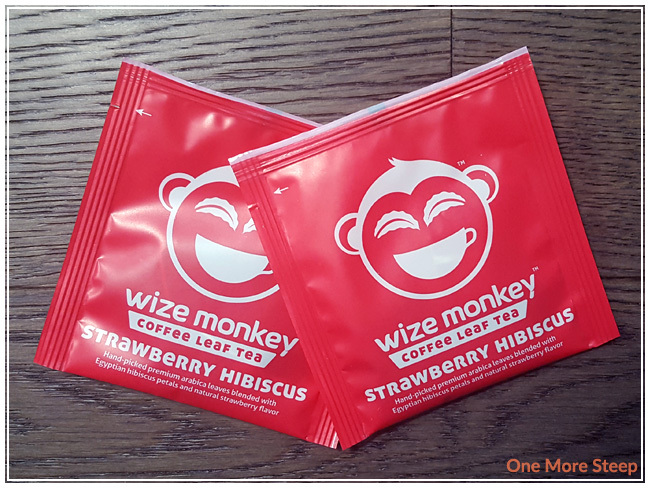 I liked Wize Monkey’s Strawberry Hibiscus. I was really impressed by how much it smelled just like its namesake. I do wish that the hibiscus was better balanced against the strawberry, I think it was just a touch too tart for me. That said, I think a little bit of sweetener and perhaps a handful of ice cubes and it would have made an excellent iced tea (or even the addition of a bit of soda water to make it into an iced tea pop). It’s a very summery flavour combination, and would definitely recommend having this iced.